With industrial flair and a touch of modernism, these Monroe house numbers from Bold MFG & Supply can fit on even the most minimal exterior. Custom address plaque from Good to the Grain. Whether you want painted wood or natural-stained wood, the customized plaque options at Good to the Grain are striking and beautifully modern. Wall Planter Address Plaque from Urban Mettle. Bring your address numbers to life (literally!) 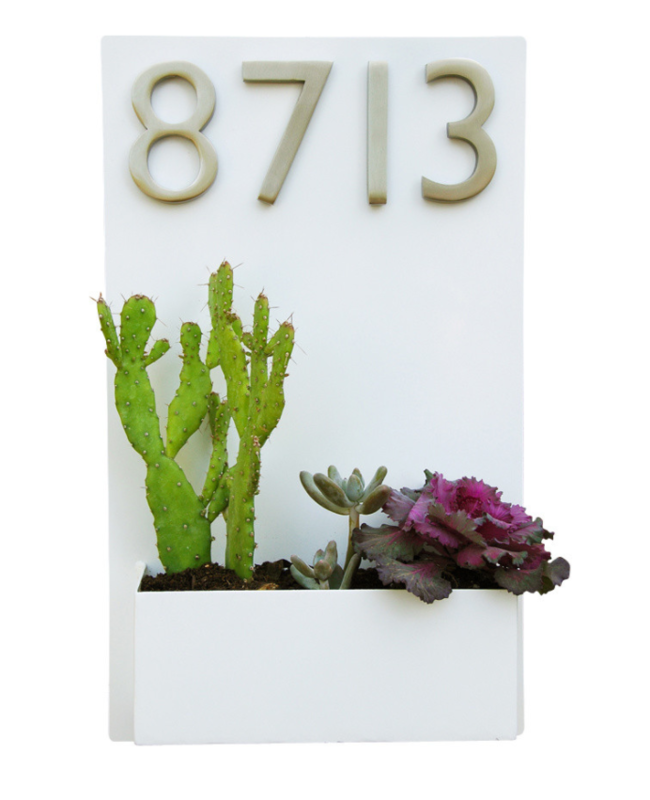 with a two-in-one address plaque and wall planter from Urban Mettle. The selection of styles, orientations and finishes is wide, so you can find something that suits your taste as well as your home’s exterior. There’s something so perfect about underlined house numbers. 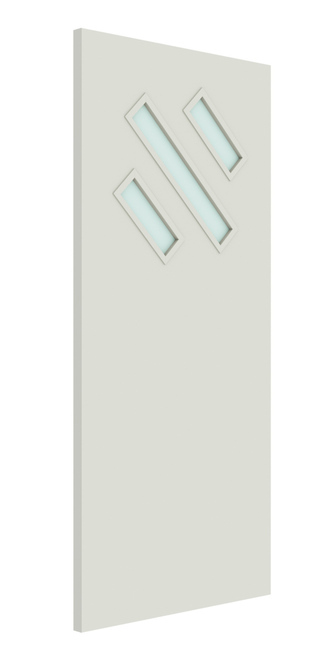 The Mod Mettle Address Plaque from Urban Mettle is a clean, stylistic addition to your curb appeal. We love colored doors as much as the next modernist, but there’s something beautiful about a midcentury-style wooden door. The frosted glass diamond windows on this Simpson Door (model #49905) is perfect for an era entryway. 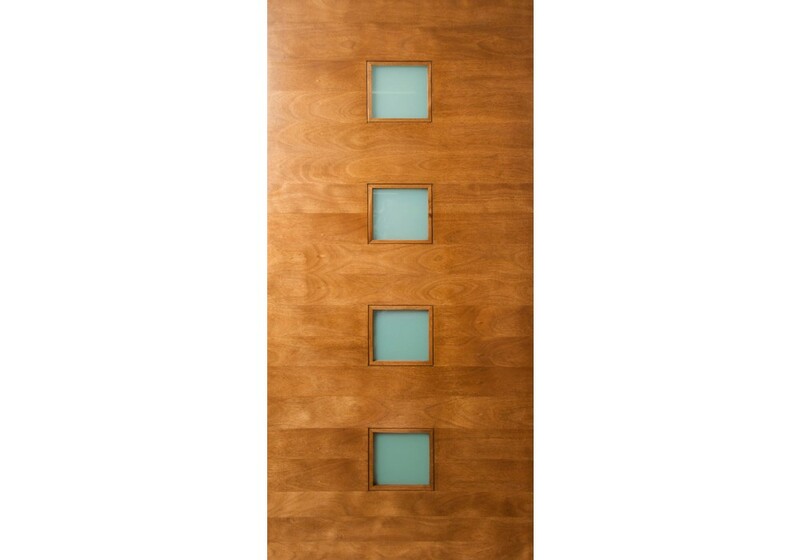 Doors by Decora, model #DbyD-5143. For the right house, a crazy door isn’t off the menu. Maybe it’s the custom color choices, the inset design or the fluted glass panes, but this design from Doors by Decora (model #DbyD-5143) makes us want to start knocking. The Casablanca, by The Millwork Market. The Casablanca is only one of 25 midcentury-style designs from The Millwork Market. It was hard to choose which of the DIY-install doors to feature, but there’s something classy about this design’s asymmetry. 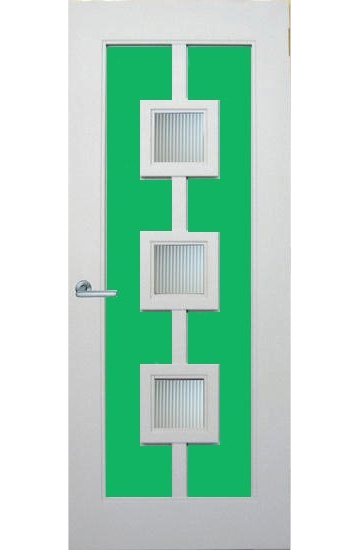 The Quadratum, from ETO Doors. This design, the Quadratum from ETO Doors, is definitely more on the contemporary side, but we couldn’t pass up the gleaming wood finish and petite square windows.